Welcome to the Patient Education Section of Alliance In Health Diabetes Control Center's website! If you or someone you know is at risk for diabetes or has just been diagnosed — chances are you have a number of questions. The Patient Education section is intended to provide accurate and clear information about diabetes control. Please note: As mentioned, this website is not intended to cover all aspects of any medical condition. It is generalized and is not intended as specific medical advice. 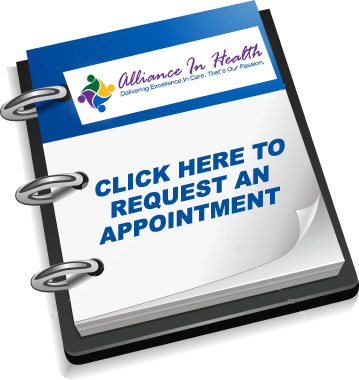 Those with questions or who need more information should check with their physician.